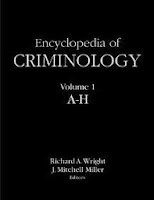 This is a copy of a publication in the Encyclopedia of Criminology, edited by Richard A. Wright and J. Mitchell Miller. New York: Routledge, 2005. Also available in pdf format. Please cite as: Deflem, Mathieu. 2005. "International Police Cooperation —History of." Pp. 795-798 in The Encyclopedia of Criminology, edited by Richard A. Wright and J. Mitchell Miller. New York: Routledge. International police activities are not the invention of the recent age of globalization. The historical roots of international policing today go back to at least the 19th century expansion of national states. Over the course of history, international police activities have taken on different forms in pursuit of a variety of objectives. Broadly, the historical trend has been for police institutions to gradually abandon political police tasks to focus on distinctly criminal goals and to move from momentary and limited forms of cooperation to the creation of more permanently structured arrangements of cooperation. International police organizations with broad international representation were not formed until police institutions had become sufficiently autonomous from the political centers of their respective national states to function as relatively independent professional bureaucracies. When this structural condition of institutional autonomy was fulfilled, police institutions began to collaborate across the borders of their respective national states on the basis of shared conceptions concerning the development and enforcement of international crime. Thus, the forms of international police cooperation that throughout the 19th century were oriented at protecting established autocratic political regimes, especially on the European continent, would ultimately lead to the establishment in 1923 of the International Criminal Police Commission, the organization known today as Interpol. During the 19th century, U.S. police institutions did not play any significant role in international police practices. At that time, police duties with international dimensions in the United States were related to specifically American circumstances, such as enforcement tasks associated with slavery, immigration, and the founding of national borders on the north-American continent. In Europe, however, international police practices were from the middle of the 19th century onwards comparatively much more developed. Most European police cooperation then concerned political tasks related to the protection of established conservative rule from suspected subversive activities. Such was most clearly the case with the Police Union of German States, an international police organization that was active from 1851 until 1866 to suppress the political opposition, consisting of democrats, anarchists, and socialists. The Union was especially oriented at instituting systems of information exchange among participating police in the form of the circulation of information through printed materials and at police meetings. But the Police Union was able to attract cooperation from police of only seven German-language nations that were ideologically closely akin and politically united in a federal union. Because the organization remained closely tied to political conditions, it was no surprise that the Police Union’s activities gradually began to decline with mounting hostilities among the governments of the countries whose police institutions were a member of the Union. The Union was finally disbanded when war broke out between the countries of its two primary members, Prussia and Austria, in 1866. Although there was during the second half of the 19th century already a trend noticeable towards criminal duties in international police activities, political objectives continued to dominate most police work across national borders. In the final decade of the 19th century, violent incidents inspired by radical political ideas once again shook the foundations of established autocratic regimes in Europe and accelerated international police activities. On September 10, 1898, Empress Elisabeth of Austria was murdered by the Italian anarchist Luigi Lucheni, further intensifying concerns over the anarchist menace. Few weeks later, on September 29, 1898, the Italian government organized an international conference in Rome to organize the fight against anarchism. The ‘International Conference of Rome for the Social Defense Against Anarchists’ was held from November 24 to December 21, 1898, and was attended by 54 delegates from 21 European countries. In the final protocol of the Conference, anarchism was defined as any act that used violent means to destroy the organization of society. On matters of practical policing, the Rome protocol included plans to encourage police to keep watch over anarchists, to establish in every participating country a specialized surveillance agency to achieve this goal, and to organize a system of information exchange among these national agencies. Also, the countries that signed the final Conference protocol agreed to adopt the ‘portrait parlé’ method of criminal identification. A technically more sophisticated version of the bertillonage system that was invented by Alphonse Bertillon, the portrait parlé (spoken picture) was a method of identification that classified criminal suspects on the basis of numerically expressed measurements of parts of their head and body. The Conference also approved a provision to extradite persons who had attempted to kill or kidnap a sovereign or head of state. In November 1901, Russian authorities invoked the assassination of U.S. President McKinley by an anarchist in September of that year as a basis to revive the anti-anarchist program of the Rome Conference. The initiative led to a second anti-anarchist meeting, in March 1904 in St. Petersburg, Russia, where the representatives of ten countries agreed upon a ‘Secret Protocol for the International War on Anarchism’. The 19th-century fight against anarchism was evidently a matter of a decidedly political nature, especially because and when it included policies reaching beyond the control of criminal incidents inspired by anarchist motives. Aware of the politically sensitive nature of anarchism, the anti-anarchist meetings in Rome and St. Petersburg purposely conceived of anarchism as a strictly criminal matter, the enforcement of which was to be handled at the administrative level by police institutions. Nonetheless, only few countries actually passed new legislation based on the provisions of the Rome and St. Petersburg protocols. The aspiration to treat anarchism as a criminal matter could not be maintained at the level of the national governments where the international treaties had to be ratified. Ideological divisions in international political affairs also posed limits to the international police cooperation plans that were developed in function of formal intergovernmental treaties. Most clearly, the participants of the Rome and St. Petersburg meetings could not agree on the creation of a central anti-anarchist intelligence bureau for information exchange across various nations. Another special focus of international police activities from the early 20th-century onwards was international prostitution or the white slave trade, as it was called then. An international conference on white slavery was first organized by the French authorities in Paris on July 15, 1902. At a follow-up meeting in Paris in 1904, the ‘International Agreement for the Suppression of White Slave Traffic’ was signed by the governments of 12 European countries. Some non-European states, among them the United States, did not sign the accord but nonetheless agreed to adhere to its provisions. At a subsequent meeting in Paris on May 4, 1910, the ‘International Convention for the Suppression of the White Slave Traffic’ was signed by 13 nations, including most of the countries that signed the 1904 Agreement. The United States was among the countries that no longer adhered to the new treaty. While the international agreements on white slavery dealt with a non-political issue, the agreements reached in Paris were like those on anarchism decided upon at the intergovernmental level and framed in the language of formal international law. In consequence, the white slavery accords did not significantly influence the course and outcome of international police strategies and other practical aspects of prostitution policy. Instead, police activities in the area of white slavery developed as part of national policies. Efforts to control the trafficking of prostitutes into the United States, for example, were largely conducted on the basis of national U.S. legislation, specifically the White Slave Traffic Act of 1910. During the 20th century, certain structural conditions and operational motives were met that would determine the further development of international policing. Structural conditions ensure that national police agencies are in a position to move beyond the confines of their respective national jurisdictions. When these structural conditions are met, international police organizations need an additional motivational basis to become operational. Historical evidence shows that international police organizations with broad international representation were formed because and when police institutions had become sufficiently autonomous from the governments of their respective national states to function as relatively independent bureaucracies. Police institutions achieved this position of autonomy on the basis of the development of a purposive-rational logic to employ the most efficient means given certain objectives of crime control. When the structural condition of institutional autonomy was fulfilled, police institutions started to collaborate across the borders of their respective national jurisdictions on the basis of a shared system of knowledge concerning the development and enforcement of international crime. To be sure, variable socio-historical circumstances impact the degree of bureaucratic autonomy of police institutions during periods of momentous societal change. Intense social disturbances typically lead to attempts to redirect bureaucratic activity to again play a role intimately related to the political goals of national states. In the early decades of the 20th century, efforts to formally organize international police cooperation increased in number. Most of the these plans were not successful, but the remarkable increase in attempts to structure international police work clearly manifests a more general globalization that took place in many areas of society. International police cooperation also gradually depoliticized in terms of its goals, although there were also momentary returns to political police duties. Next to the disruptive impact of World War I, a striking example of the momentary shifts brought about in the autonomy of police during sudden crises occurred after the Bolshevik Revolution, when police institutions in Europe, the United States and elsewhere turned attention to the spread of a global communist movement. Yet, in the 20th century such politically motivated international police activities would be only temporary relevant. Efforts to re-politicize police and other social institutions during moments of intense societal change are not surprising. What is ironic is that these politicization efforts can still occur at times when police institutions continue to expand and solidify a position of autonomy, enabling them to better resist such attempts at political control. The first 20th-century initiative to formally establish an international police organization on matters of a non-political nature was taken at the First Congress of International Criminal Police in Monaco in 1914. As indicated by the name of the Congress, the meeting focused on distinctly criminal law enforcement duties, a developments that was anticipated since the late 19th century. However, the Congress nonetheless failed to institute an international police organization, mostly because the meeting was not organized by police officials but by politicians and legal officials. The discussions at the Congress took place exclusively within a legal framework, including debates about arrangements of international law, such as extradition procedures. Proposals that concerned police measures were discussed only in function of legal principles, which police institutions had by then already abandoned. On the American continent, the main counterpart to European police cooperation in the early 20th century first originated in Latin America, where arrangements were made to structure international police cooperation at international police conferences in Buenos Aires in 1905, in Sao Paolo in 1912, and in Buenos Aires in 1920. But these efforts were largely inconsequential, because they were mainly oriented at professional objectives, namely to foster better relations among the police of different countries, but not to control international crime. In September 1922, the International Police Conference (IPC) was established at a police meeting in New York City. Explicitly conceived as an organization to promote and facilitate international cooperation among police, the Conference would remain a predominantly American organization that was mostly concerned with promoting an ideal of professionalism among local U.S. law enforcement agencies. In 1932, the IPC was brought under the direction of Barron Collier, a wealthy retired businessman, who tried to put new life in the organization, but to no avail. The IPC was independently organized by police officials, especially from within the New York City Police Department, and cooperation among the Conference’s members was attempted to be accomplished outside the context of formal legal systems. However, what the International Police Conference missed were any realistic concerns with international crime. An internationalization of crime that could justify the establishment of an international police organization was at this time still missing in the United States. Especially because of the distance with Europe and other parts of the world and because the United States did not yet have a well-developed federal police, U.S. policing operations at this moment in time still remained insulated from the rest of the world. The International Criminal Police Commission (ICPC), the organization currently known as Interpol, was founded in 1923 and exists until this day as the most enduring international police organization. The ICPC was formed at the International Police Congress in Vienna as the result, not of a diplomatic initiative, but of an initiative independently taken by police officials from various, mainly European countries. The Commission was set up without the signing of an international treaty or legal document. The ICPC activities were planned at police meetings and through correspondence among police officials, without control from their governments. For a long time since its founding, also, the ICPC had no internationally recognized legal status and no legal procedure was formalized for a police agency (rather than a nation-state) to acquire membership in the Commission. The ICPC headquarters were initially located in Vienna, which had the technically most accomplished police facilities. The headquarters contained specialized divisions on the falsification of passport, checks and currencies, fingerprints and photographs, and other systems of police knowledge and police technique. Various means of direct police-to-police communication, such as a radio network and publications, were the most important achievements of the ICPC. The motivational basis for police to cooperate through the structures of the ICPC was in the first instance provided by a cross-national rise and an internationalization of crime which had taken place at the end of World War I. What police officials organizing and participating in the ICPC argued to justify collaboration across national borders were new types of crime that took place across countries undergoing rapid social change and technological progress. Therefore, the Commission established new systems of technologically advanced means for international police communication. Also in opposition to the cumbersome legal procedures of extradition, the ICPC advocated direct police-to-police communications to more efficiently cooperate across national borders. Among the implications of the fact that police institutions historically began to cooperate on the basis of their achieved position of bureaucratic autonomy is that cooperation could take place among police of national states that may be very different in political, legal, and other respects. The strength of survival of the ICPC is in this respect remarkable in the light of the political and cultural heterogeneity that marks the various countries in Europe and elsewhere. The bureaucratic autonomy of police accounts for the fact that police institutions can transcend their jurisdictional authority and move beyond the function assigned to them by their respective governments. International police cooperation efforts were set up on the basis of standards of efficiency and systems of knowledge about international crime that could be shared among police professionals. Therefore, the International Criminal Police Commission was able to found and expand its organizational structures and facilities, despite the fact that among the Commission members no clear-cut definition of international crime was agreed upon. The a-political nature of the International Criminal Police Commission has ironically brought about that the organization could be exploited by the police of nations that hold extreme political ideologies and consequently engage in police activities for political purposes. The potential to politicize international police work is in the case of the ICPC most tragically revealed when the organization was taken over by the Nazi regime after the annexation of Austria in 1938. In that year, the ICPC presidency was assigned to a Nazi police official and, a few years later, the headquarters were brought over to Berlin, where they were organizationally aligned with the SS police. Although the practical consequences of the Nazification of the ICPC are not clear, the organization was evidently vulnerable to be used for political purposes. After the end of World War II, the ICPC was reformed in 1946 at a gathering of police in Brussels, Belgium. Since then, the ICPC headquarters have been located in France. The organization’s membership has continued to expand and presently comprises police institutions from 181 nations. Anderson, Malcolm. 1989. Policing the World: Interpol and the Politics of International Police Cooperation. Oxford: Clarendon Press. Deflem, Mathieu. 2002b. “Technology and the Internationalization of Policing: A Comparative-Historical Perspective.” Justice Quarterly 19(3):453-475. Deflem, Mathieu. 2002c. “The Logic of Nazification: The Case of the International Criminal Police Commission (‘Interpol’).” International Journal of Comparative Sociology 43(1):21-44. Fijnaut, Cyrille. 1997. “The International Criminal Police Commission and the Fight against Communism, 1923-1945.” Pp. 107-128 in The Policing of Politics in the Twentieth Century : Historical Perspectives, edited by Mark Mazower. Providence, RI : Berghahn Books. Jensen, Richard B. 1981. “The International Anti-Anarchist Conference of 1898 and the Origins of Interpol.” Journal of Contemporary History 16(2):323-347. Liang, Hsi-Heuy. 1992. The Rise of the Modern Police and the European State System. New York: Cambridge University Press.